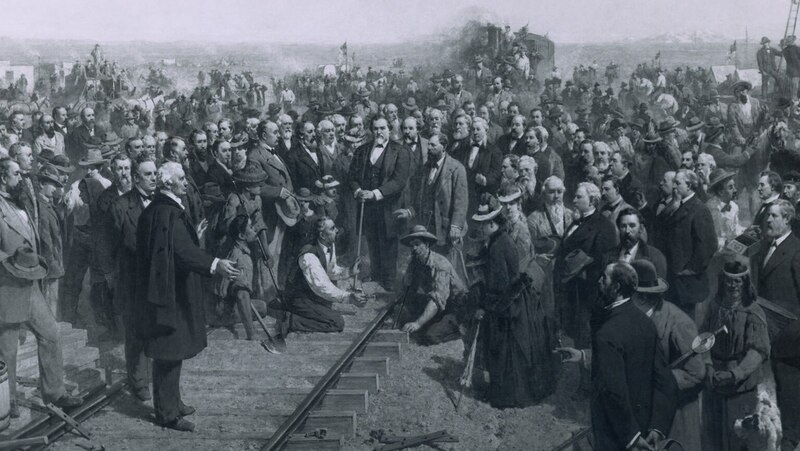 The first transcontinental railroad was finished in 1869. Builders had to overcome horrific obstacles; tunneling through the Sierra Nevada Mountains took three years. Completion cut travel time from the Mississippi to the West Coast from three months to about one week. The line was joined by other transcontinentals; a national network facilitated settlement in the plains and mountain states that had been too remote. Great explanation about how they built the railroad. Amazing engineering work. I enjoyed this lecture and all the detailes it contained. Brilliant lecture brings the building and the effects of the transcontinental railroads to life.